This is a postcard I've seen in other collections and was quite envious of. 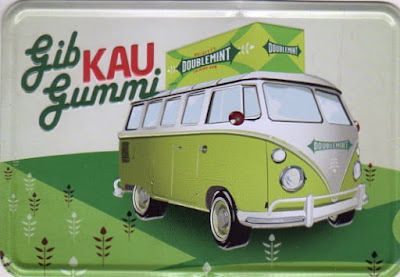 It's metal, it has a VW camper van on it and it advertises a great product! All that to say I was delirious with joy when I found it in my mailbox!